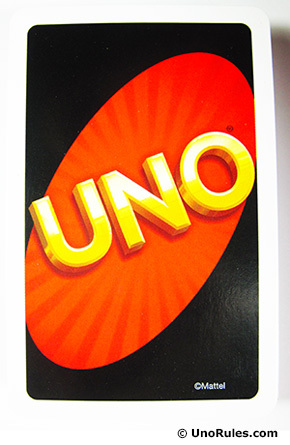 Uno (Spanish for “One") is a specially printed card game that has been around for a long time, with 2011 marking its 40th anniversary. Since its invention, Uno has sold more than 150 million copies and is available in more than 80 countries around the world. With being America’s number one card game brand, it teaches children learn to practice reading and counting skills and recognize colors and numbers. It’s always interesting how someone can get an idea about an invention, especially one that has been around for 40 years. Uno is a card that uses a specially printed deck of 1-9 numbers and command/word cards in the colors of green, yellow, blue and red. Uno has a similarity with another game, Mau Mau, that uses a standard deck of cards and the general principles of Uno places it in the Crazy Eights family. The invention of Uno came about in 1971 by a man named Merle Robbins, a barber shop owner from Reading, Ohio. After Merle quarreled with his son regarding the rules of Crazy Eights, and decided to develop his own game which would be more to his liking. When he introduced the game to his family it was a huge hit and they decided to print the game as a pack of cards. The game was made on the family’s dining room table from the $8,000 the family had gathered. At first, the card game was sold directly out of Robbins’ barbershop with some help from business friends. In 1981, Robbins sold his rights to the game to a funeral parlor owner in Joliet, Illinois for $50,000. The deal also included 10 cents royalty per game sold. To be able to market the game, International Games Inc was formed and the sales of the game rapidly increased. In 1992, Mattel acquired International Games Inc and Uno has been a product of theirs ever since. Over the years, Uno has created several themed packs of the game and also many varieties. This keeps the game fresh and interesting and invites all ages and cultures to play. Themed packs and Uno Spin-offs helps add variety to the game. With themed packs, you can play with different characters and sometimes even different rules. And with spin-offs it’s fun to try out the different methods and gameplay along with the new rules, added by the new Action cards. And even if you don’t want to try something other than the original Uno, you can always make up your own rules to custom fit your family and friends.